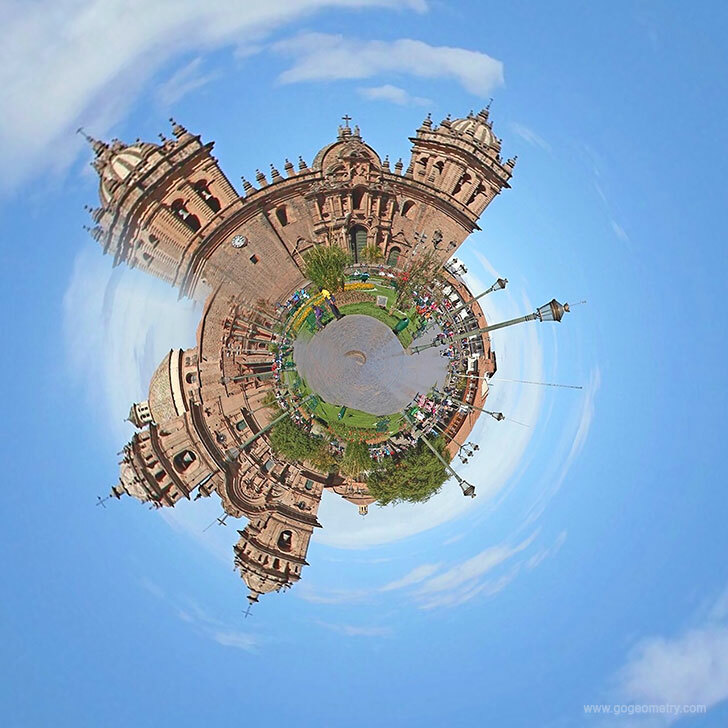 The stereographic projection of Cusco's main square is a mapping that projects a plane image of it onto a sphere. The site was the historic capital of the Inca Empire from the 13th until the 16th-century Spanish conquest. In 1983 Cusco was declared a World Heritage Site by UNESCO. It is a tourist attraction in Peru. The Cusco Cathedral, the Iglesia del Triunfo, and the Iglesia de la Compania de Jesus are located on the Plaza de Armas. Read more.